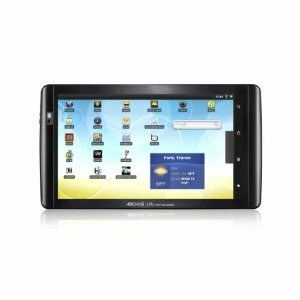 ARCHOS 101 Internet Tablet - review, specification, prices. Offering a unique tablet design with the latest Android operating system, the ARCHOS 101 Internet Tablet features a 10.1 inch multi-touch display with pinch and zoom capabilities, a fast 1 GHz processor for fast web browsing, HD multimedia playback, and multitasking across applications. 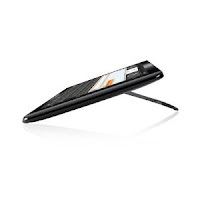 An integrated multi-position kick stand allows for hands-free use, enabling you to set the ARCHOS 101 Internet Tablet in a stand up position (approximately 60 degrees) to use the display as a PC monitor with an external keyboard or in a low position (approximately 30 degrees) for using the virtual keyboard. 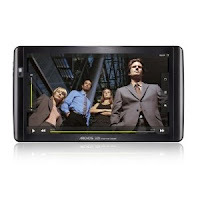 With ultra fast Wireless-N Wi-Fi networking of this ARCHOS 101 Internet Tablet, you'll be able to connect to your home or business wireless network as well as hotspots while on the go. A built in webcam means you can make video calls to family and friends. Additionally, a new feature in the Android settings menu allows the device to be tethered to a 3G phone via Bluetooth or USB for Internet connectivity when on the move. This version of the ARCHOS 101 Internet Tablet offers an internal 16 GB memory, which can be expanded using microSD memory cards up to 32 GB in size. It includes an HDMI port for connecting to a compatible HDTV or monitor and a full-sized USB port for transferring files from your PC as well as connecting an external keyboard. 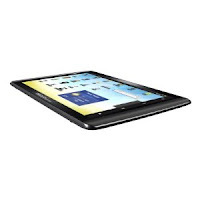 Related Posts to "ARCHOS 101 Internet Tablet"
5 Comments to "ARCHOS 101 Internet Tablet"
Please comment to ARCHOS 101 Internet Tablet - Laptop and notebook reviews ARCHOS 101 Internet Tablet, review, specification, and price. Please don't spam.